Very sweet card, Karen! 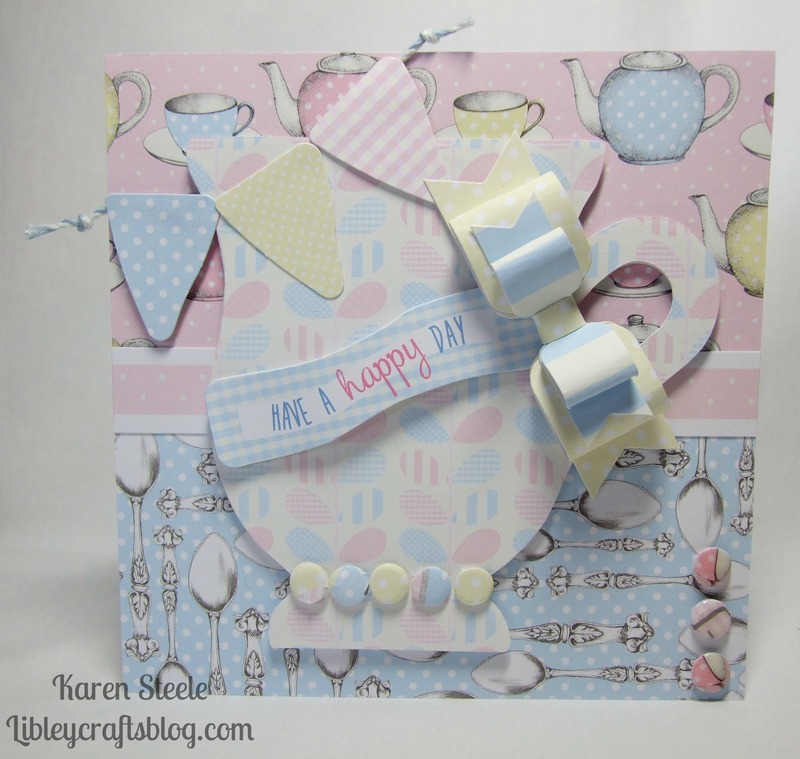 Love the soft colors and pretty layout! The big cup and papers compliment each other perfectly! So pretty with all the soft, pastel colors Karen!! I’m she absolutely loved it!! And how awesome to make it fit their relationship!! You’re amazing! 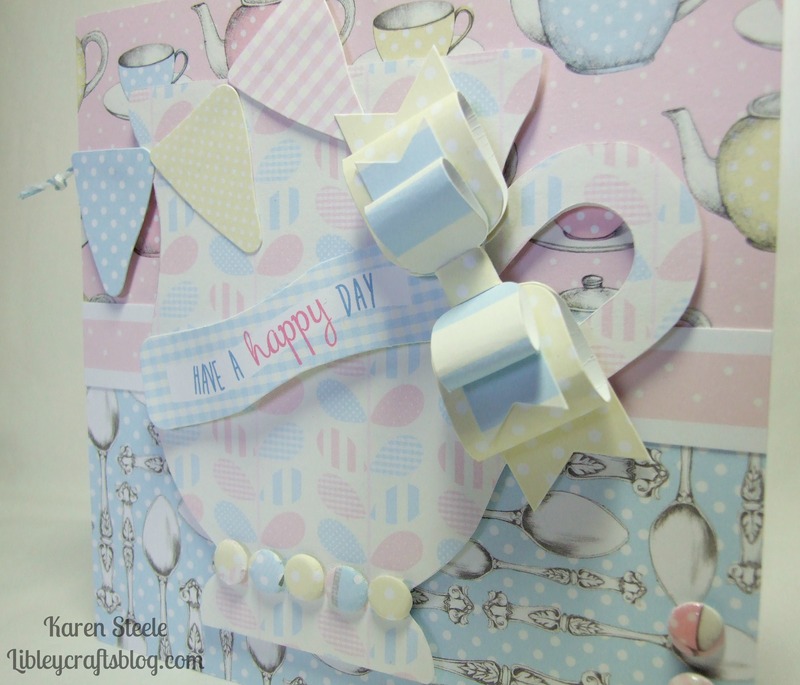 So pretty with the pastels and lovely paper! Such a sweet bow, too! How delicate! Love the softness of the colors and all the details you’ve got on here. Since I’m a DP addict I have to comment on that beautiful paper with spoons too, love it!